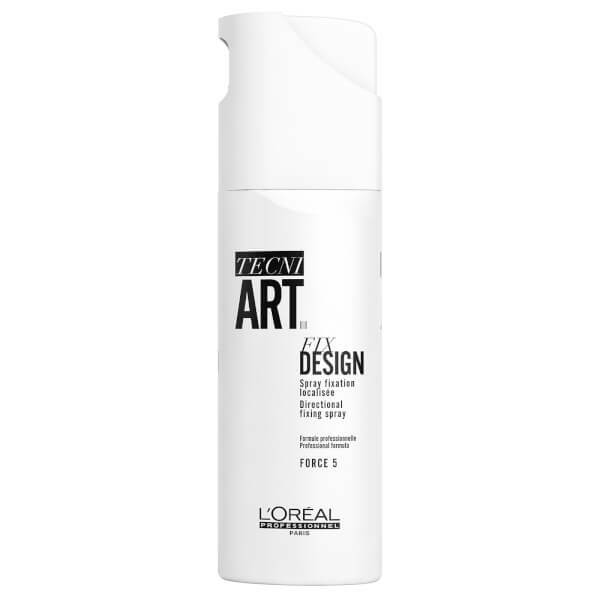 Keep your 'do in place with the L'Oréal Professionnel Tecni.ART Fix Design; a non-aerosol hairspray that gives a texturised effect to short hair and delivers a strong, lasting hold to long hair. Specially formulated to tame frizz and pesky flyaways, the thermo-modelling spray effortlessly revives locks leaving a natural-looking shiny finish without any visible residue. Topped with a directional pump dispenser. Spray 15cm from hair. In case of clogging, run hot water over the pump. Alcohol Denat., Va/Crotonates/Vinyl Neodecanoate Copolymer, Aminomethyl Propanol, Peg/Ppg-4/12 Dimethicone, Ethylhexyl Methoxycinnamate, Hexyl Cinnamal, Linalool, Limonene, Geraniol, Butylphenyl Methylpropional, Citronellol, Benzyl Alcohol, Coumarin, Parfum / Fragrance. C38834/1.